Welcome to my random rambling. A place where I want to share some of my inner thoughts and a wrap up of my weekly events. It’s Friday and I want to go ahead and break my week all the way down and give you all the deets. Feel free to tell me about your random thoughts and if not go ahead and enjoy mine. Let’s get this ramble started!!! Why are you standing at my office door and you see me on the phone? I was at work this week (duhhh) and I was on the phone talking to my mother and a co-worker walks up to my office door but remains in the hall. Originally I was facing the door but I smoothly started to turn my chair to face my computer as a hint that you should go away. As I allow a minute to pass I give my chair a 90-degree turn and I can see from the corner of my eye they are still standing there. This guy continues to hang around my office door and it becomes obvious he isn’t going away. After allowing my mother to get her words out, because I’m not about to cut her off, I tell her I need to call her back because someone is at my office door. Y’all ready for this? I know you aren’t but let me tell you what happened next. This guy proceeds to walk in my office and said….wait for it……”I can come back”. What happen to Victoria’s Secret bras? I recently ordered 6 bras during one of the BOGO 50% off sales. I have to say I was disappointed and this my order where I wanted VS to redeem themselves. I ordered some bras a little over 6 months ago and a few of them were squeaky. Yes squeaky as in when I moved in the bra I could hear it. Now with the previous order, I let it slide because sometimes you can just get a defected item from time to time. HOWEVER, this time I said nope the quality has gone down. I kept 2 of the bras because they were wireless and the other 4 I bagged right back up and dropped in the mail. I was already a little irritated they were no longer tagless but I let it slide. Naw I can’t get with sounding like a mouse or old wooden chair when I’m in motion. Maybe other people can’t hear it but I can and that’s enough for me to say no thank you. There are a few other companies that I’ve been eyeing long before and this gave me the green light to go for it. If you know of any you have tried, let me know. Really quickly I can tell you it’s about this wealthy hedge fund guy who wins no matter what odds is stacked against him. There is an attorney general that is determined to prove what he believes are illegal trades being made. One interesting thing is that the attorney general wife is the psychologist of the hedge fund company. There are so many things going on with this show I have to be completely focused on it. I can’t be online shopping, IG, or anything else that takes my eyes off the tv. I can not wait until Friday night and I can turn this back on because I have been robbed of it all week. I was putting up some bathing suits from my last weekend getaway and I realized they needed to be reorganized. Is it normal that I have a dozen swimsuits, a bottom with no top, and a top with no bottom? I just found out about the Sephora VIB sale coming up this weekend and in less than 15 minutes I had 10 items in my cart. Creating a loves list is nothing but trouble around this time. We will see what I actually get when it’s time to be real about and click place order. 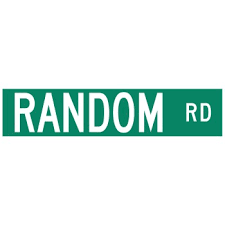 What is the randomness going on in your life? Ready to Clean Out Your Closet??? Women Are Afraid​ To Compete? What other companies have you been eyeing for bras?